In the spirit of showing versus telling, they’ve released Tweetanium, a Twitter client and cross-platform showcase of the Titanium platform. If you missed it, be sure and catch Episode 0.0.8 in which Marshall Culpepper gives us the scoop on the Titanium architecture. 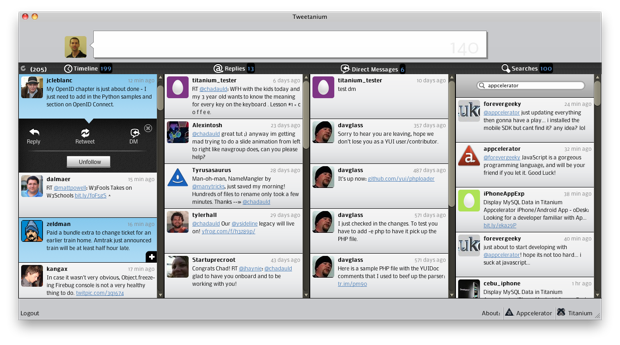 Tweetanium Desktop from Appcelerator Video Channel on Vimeo.